Kigali-Rwanda: From 20th to 23rd March 2016, the Government of Rwanda, through the Ministry of Agriculture and Animal Resources (MINAGRI), hosted IFAD’s Mr. Adolfo Brizzi, Director of the Policy and Technical Advisory (PTA) Division and Sana Jatta, Director of the East and Southern Africa (ESA) Division. 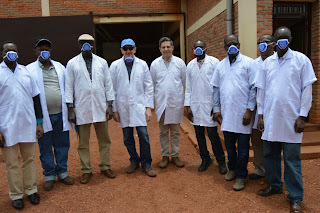 The officials were received by the IFAD country office before their meeting with Rwandan Government Officials including the Minister of Agriculture and Animal Resources, Dr. Geraldine Mukeshimana, and Mr. Innocent Musabyimana, the Permanent Secretary of MINAGRI. Also in the delegation were IFAD country staff, represented by Mr. Francisco Pichon Javier, Senior Country Manager and Aimable Ntukanyagwe, Country Program Officer. On 21st March 2016, the IFAD team held meetings with the Ministry. The discussions were centered around delivering the same level of project support for implementation that IFAD has always provided, said Claver Gasirabo, the IFAD Project Coordinator. On 22nd March 2016, the team conducted field visits to IFAD-supported investments in Ngoma and Kirehe Districts, where the Climate Resilient Post Harvest and Agribusiness Support Project (PASP) and Kirehe Community based Watershed Management Project (KWAMP) are intervening respectively. These investments include the industrial drying grounds with the capacity to store between 50-100 MT of dried maize throughout the year. The drying grounds are in Murama Sector, Ngoma District, and managed by the KOREMU Cooperative, which is working to improve the quality of maize and reduce post-harvest losses. In Kirehe, the Directors and the Ministry delegates visited irrigation investments including the Sagatare dam and marshland, with capacity to store 282,000 m3 of water, usable to irrigate 205 ha of rice in Sagatare and Rwabutazi. They also met with smallholder farmers receiving support from the KWAMP project in livestock and biogas development. Finally, the team visited one of the five communal cattle sheds built by the KWAMP project to enhance veterinary services, peer learning and collective marketing. 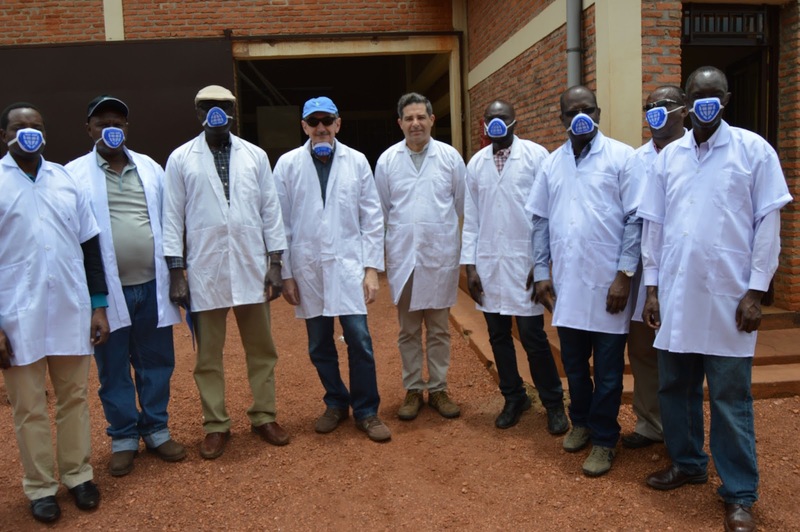 On 23rd March 2016, the Directors announced IFAD’s renewed commitment to support the Rwandan Government’s initiatives to invest in rural people. Visit of rural investments- Rice milling Plant in Kirehe. How do you share innovative solutions? How to improve family poultry production?